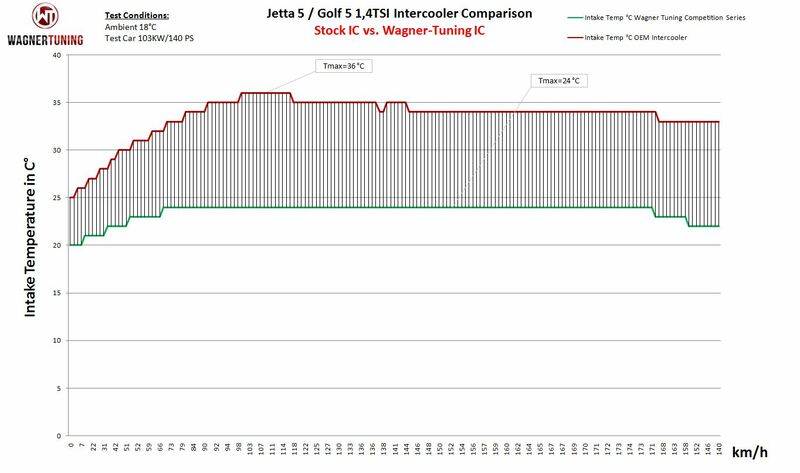 The Wagner Tuning Competition intercooler has the following core size (610mm x 440mm x 65mm), providing a 10% larger frontalarea and 50% more volume compared to the original Audi S3 intercooler. 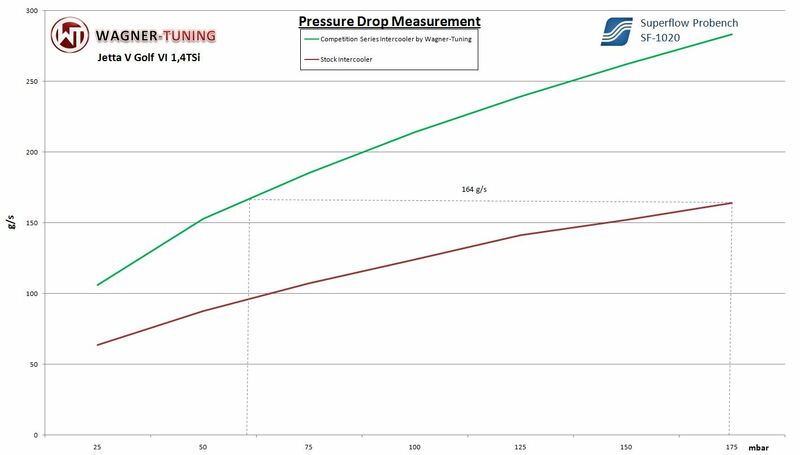 Wagner-Tuning Competition Core with high cooling performance and light weight (9,3KG). Optimized by CAD, the new competition-high-speed core and cast aluminium end tanks give this intercooler excellent cooling properties. Flow analyses and simulations were created to optimise the design for best possible Internal Airflow. This intercooler is the best choice when it comes to performance gains and low intake temperatures. A lot less pressure drop then OEM Intercooler. Anti Corrosion protective Coating with perfect thermal heat dissapating character. Optimal cooling with clearly more power. Kit is ready for installation, 100% perfect fit. Fitment is easy, replacing the OEM intercooler. All of our products undergo rigorous quality control. Including TÜV certificate. On both sides the connection diameter is 67mm.